Each Kilaga Springs facial begins with an AROMATHERAPY JOURNEY and a consultation to customize your Relaxing experience. The HydraFacialMD® is a medical grade, facial resurfacing treatment that can be given in as little as 30 minutes. It provides long-term skin health benefits and can be tailored to meet the specific needs of all skin types. This multi-step treatment cleanses, evenly exfoliates and extracts to remove impurities and dead skin cells while simultaneously replenishing vital nutrients including Antioxidants, Peptides, and Hyaluronic Acid to the skin. The HydraFacialMD® offers instant, noticeable results with no downtime or discomfort. Uncover a new layer of skin with gentle exfoliation and relaxing resurfacing. Remove debris from pores with painless suction. Nourish with intense moisturizers that quench skin. Saturate the skin’s surface with antioxidants and peptides to maximize your glow. This facial will address your skin care concerns using Image Skincare products Image Skincare’s philosophy is “Age Later” Key ingredients such as Vitamin C, Aloe, gentle enzymes and brightening peptides are used to balance skin conditions such as rosacea, sensitive and compromised skin. Also excellent for Gentleman. These facials are designed to deliver advanced treatments using potent ingredients. Choose your treatment from the following benefits and goals. This facial offers a custom tailored experience that allows for the choice of HydroPeptide products best suited for your skin. HydroPeptide uses the power of peptides that work on a cellular level to increase hydration, visibly reduce lines and wrinkles and enhance skin’s natural luminosity. Carefully selected botanicals detoxify and rejuvenate. HydroPeptide challenges skin aging with every product while addressing secondary concerns like hyperpigmentation, sensitivity, dehydration, and acne. This is a 4 treatment series that includes supportive products. This quick service uses a multi-peptide blend that helps to gently brighten tone and firm the outer eye area while maintaining hydration. You take-home ½ of the Eye Replenishing Serum to enhance and extend treatment benefits. Soothing Eye Masks are included to calm and soothe under eyes with hydrating cucumber and seaweed extract. Lips are smoothed, moisturized and perfectly primed with this express service. You take-home ½ of the Lip Revitalizing Serum to apply on your lips, day and night, or whenever your lips need a hydration boost. Plus, protect your pout with Hydrating Lip Balm SPF 30* that locks in moisture. Take your facial to the next level, with one of the Spa at Kilaga Springs’ famous facial upgrades. Enhance facial results with plumping collagen supporting peptides and cooling hydrating nutrients to reduce fine lines while brightening age spots. LED Light Therapy is a non-invasive skin rejuvenation treatment that is safe and effective for all skin types. LED will accelerate skin repair by promoting collagen, reduce the appearance of scars, stretch marks, sun spots, acne, and blemishes. Restore hydration with silky soft shea butter while enveloped in a comforting warm paraffin wrap. A line lifting Hydrogel Mask for the eyes and MicroCrystal for the lips help boost cell turnover, improve fine lines, cool, plump and smooth. Smooth, brighten, hydrate and renew a more youthful appearance with a stimulating exfoliation and shea butter mask. A customized massage geared for each individual's needs. Combining Swedish, Deep Tissue, and Pressure Point. The healing power of touch combines with the energy of the earth, in this relaxing, muscle-melting massage. Smooth, warm stones glide across your body in long flowing strokes, while the heat helps to relax and soothe the muscles. A refreshing peppermint balm is applied using a combination of Reflexology, Swedish and Pressure Point. It helps stimulate the muscles around your feet, lessens stiffness, and reduces pain in the ankles, heels and lower legs. The aromatic essences of plants can have profound effects on the human body, mind, and emotions. This aromatherapy adventure begins as your spa therapist guides you in choosing one of our ‘flight of five' aromatherapy blends – I love, I play, I rejoice, I restore, I unwind – to balance your constitution. Your chosen blend is then massaged into your body using styles and techniques which enhance the action of the oil you have chosen. Our highly trained massage team offers massage upgrades! The following modalities can be added at the time of the massage. $18.00 per each modality upgrade. Aromatherapy – Relaxes and heals your mind and body using restorative properties of essential oils. Cold Stone – Enhances the effects of the massage by cooling down the inflammation response and reducing pain using cold marble stones. Hot Stone – Hot basalt stones deliver deep penetrating heat to release tight muscles. Hydropeptide Balm – Deeply nourishes and hydrates the skin. Joint Relief Lotion – with msm, glucosamine, and arnica. Supports joint health, aids in pain relief and reduces inflammation. Prenatal – Relieves many of the normal discomforts experienced during pregnancy. Radiant Hand or Fabulous Foot – Polishes rejuvenates, hydrates and soothes with plant and nut-based exfoliants and shea butter. Salt Stone – Warm Himalayan salt stones provide additional heat, while organic trace minerals in the stones penetrate into the skin and body. This is a truly therapeutic treatment. Sports/Deep Tissue – Intense, full body deep tissue concentrating on the deep layers of muscle and fascia in the body. Using the highest-quality minerals available and organic ingredients when possible, our full line of cruelty-free skincare makeup enhances your natural beauty and nourishes your skin. 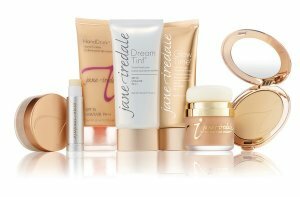 All makeup and skincare products are free of parabens, talc, phthalates, synthetic fragrance, and GMO ingredients. The perfect service to maintain beautiful hands and nails. Your nails are clipped and shaped, making your hands look and feel healthy and groomed. The service is complete with a relaxing hand massage and the polish of your choosing. The Spa Manicure is a great revitalizing and relaxing option if you are looking to pamper yourself. 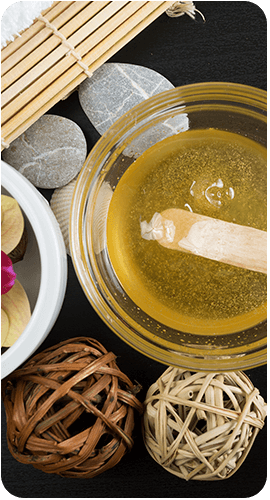 Our Kilaga Springs Spa manicure will slough away dry skin with a gentle scrub, and our paraffin dip will replenish and moisturize while our blissful massage restores your hands to a healthy radiance. The best way to keep your nails perfectly polished for up to three weeks. This advanced polish is designed to dry before you leave the spa and last well beyond your standard manicure. This service also includes grooming your nails, treating your cuticles and a relaxing massage. The gel is a special mixture that is applied to an artificial nail extension. The gel is sealed with a UV light between each layer so that the finished result is hard yet still flexible. The look is a glossy, natural finish, which is both instantly dry and chip resistant. A great service for men and women on the go. Our classic pedicure will keep your feet looking and feeling clean and groomed. With this service, you will receive a toenail trim file and shape to your liking, callus removal, and a wonderful massage and polish to have you walking out feeling relaxed and rejuvenated. Enjoy a state of pure bliss as you treat your feet to a lavish experience designed to relax, soothe, soften and hydrate. This wonderful pedicure includes everything that the Classic Pedicure does and more. Your feet will be nourished, reconditioned, and refining to your legs and feet. It includes intensive repair for dry, cracked skin with a paraffin dip and therapeutic massage to soften tired feet. Dazzle Dry delivers a nail care system that is both nontoxic and hypoallergenic, making it ideal for even the most sensitive skin types. Dazzle Dry is the only vegan nail care system to dry in just five minutes and last up to three weeks. It applies and removes like a traditional polish, delivers the performance of a gel polish without the need for UV light, and strengthens natural nails in the process. Ok bronzed for a wedding, a cruise, or if you just desire a natural looking tan with no worries about sun damage, sunless tanning is the answer! Our sunless tan is a lotion-applied process, for either full or partial body application. 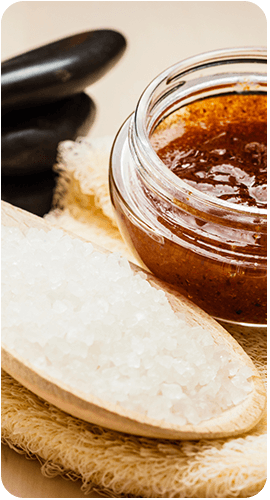 A full body exfoliation with a magnesium-rich cream scrub that aids in relieving anxiety and tension in nerves and muscles. Magnesium is crucial to every cell in the body and has been found to reduce migraines and increase energy. A full body massage with your choice of aromatherapy completes this deeply relaxing treatment. The ultimate luxurious experience for the body. A customized exfoliation polishes away dry, aging skin and reveals a brighter, more even appearance. Anti-aging peptides firm and lift in a detoxifying body wrap. A revitalizing serum and nourishing massage balm sculpt and tone the body to complete perfection. WHO'S IT FOR: Aging skin, dry/dehydrated uneven skin tone BENEFITS: Lift, tighten and tone while improving texture.